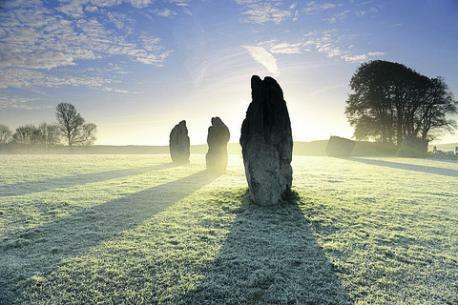 The winter solstice will occur on the night between December 21st and 22nd. It is the longest night and the shortest day of the year in the Northern hemisphere, when the sun “stays still”, then “turns back” so we can have longer days. It is about embodying and maintaining more Light inside our bodies and energy fields. But it is not an easy process – to allow more Light in we have to create space, let go of the old baggage. The ones who are fully in the tribal-self mode become scared and defend their perceived identity (which looks like anything from “if you are not with us, you are against us” mentality, to religious extremism, patriotism and xenophobia). This is not unlike teenagers rebelling and forming social clicks. The ones who do not really have any Self yet at all, become swayed by the loud voices of the tribal-self group, looking for a “protector” to take care of them (like children looking for a parent). The ones who already have an individual Self, are experiencing the time of “death and dissolution” of the lower patterns, or the Ego and the Lower Self – anything that is related to the tribal-self that must be released to make more space for the unique Self. overall tribal identity of “defend what is ours” is activated, while at the same time having relatives who are looking for protection for themselves (from the government, the legal system, or religious institution), while you yourself are feeling like something is persistently dying inside! It’s been a very interesting few month, hasn’t it? Have you noticed all the craziness going on in the world in general and within each one of us in particular? This intensified in October and November 2015 because that period of time was marked by the readjustment of the 2nd dimensional energies of Earth. In 2013 Pi brought these selfhood patterns into 4D, in 2014 into 3D, and in 2015 into 2D. We exist in the 3rd dimension of our planet, but the 2nd dimensional energies very much affect us – they relate to the power of our passions. What we call a “drive” is a psychological construct, but the “fuel” for that construct comes from the 2nd dimensional energies that feed into the emotional and astral levels of this 3rd dimension. When the 2nd dimensional energies change, it changes the “availability of fuel” for us in the 3rd dimension. Thus a lot of people have felt drive-less – the old drives to accomplish something are not working well anymore, but the new ones do not exist yet. This ‘null-zone’is necessary in order to incrementally, and eventually fully, unplug from the tribal-self consciousness. Right now people in the 1st and 2nd categories I wrote about above are not capable of letting the tribal-self go, even though their “drive” is affected as well. Because of this the passion energy, fueled through the 2D, is being utilized negatively – becomes a negative desire – really a defensive want/need based on separation. The ones in the 3rd category are ready to let their identity stand unique and eventually join the Universal Oneness energies. But they are also not handling the absence of drive very well – becoming depressed, disenchanted with the world, numb. It is very important to not fall into these defensive stances – they will only delay the process of letting go of the tribal Lower Self components. Depression is one of the defenses the Lower Self in us comes up with to keep us stuck and linked to the Lower 3D Earth energies of tribal mentality. When you feel no drive to do what you used to do, instead of becoming sad over it look at the reasons why you need to let go of the thing you were used to doing, celebrate the fact that you have no more desire to do it and look for why this habitual activity does not fit into your life anymore. Numbness is the absence of feeling, which is a defense of the Lower Self when we have to allow part of it to die. It feels scary to let go of something that you used to see as “yourself”, and sometimes instead of processing that fear (which is healthy, which leads to proper grieving and then freedom), we freeze the feelings in an attempt to avoid dealing with them. This makes us numb. So, if you feel that something is dying inside you – investigate instead, find out what part of you it is (chances are it is linked to the social system that you are being prompted to let go of), be brave! Seker (the-baby-sun) at the Winter Solstice is approached by three dignataries: Ptah, Osiris, Horus. 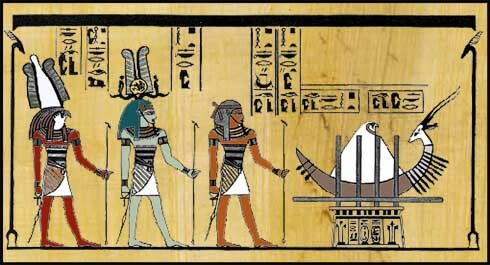 An ancient Egyptian celebration of solstice was on the 26 Khoiak month, which currently is December 22nd. In my book "The Secret of Sekhmet" I mention the district of Ptah-Seker, related to the rebirth of consciousness. I am setting up a special Night Quad for the night between December 21st and 22nd. while getting support for releasing the old outdated patterns.